Most (if not everything) is made in house. The coffee roaster roasts each batch, the baker kneads the dough, the pastry chef carefully constructs each work of art. Together, they make a synchronised symphony, all under the one roof of a converted mechanics workshop. The name of the café is cleverly derived from the periodic symbol AU79, meaning gold. Embracing this as a benchmark, the kitchen strongly stands by their food ethos, ‘from oven to table’. Our top pick was the Pressed Lamb Shoulder. Think perfectly seasoned lamb meat that had been pulled from the bone and pressed together to form a “brick” shape and then crumbed. The lamb meat was incredibly tender and full of flavour. The accompaniments of Mount Zero Kalamata olives, heirloom tomato salad, grilled halloumi, salsa verde and jus brought the dish to another level when eaten together. Simply beautiful. The dish of Pan seared Atlantic Salmon was similarly delightful and served with Cloudy Bay Diamond Clams atop a bed of luxurious corn pure alongside tomatoes, charred corn, chilli and fresh herb oil. If you have a sweet tooth, do not go past the Bombe Alaska Waffle which is wonderfully decadent. 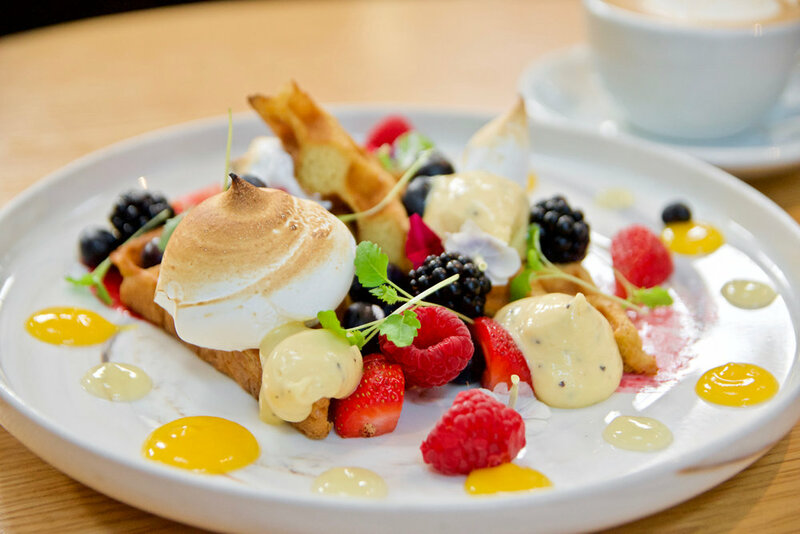 Think fluffy waffles adorned with yuzu and orange gel, passionfruit curd, raspberry sauce, summer berries, Italian meringue and ice cream. For the coffee-enthusiasts, there is much to love. Expect AU79’s own 24K blend along with various single origin coffees sourced from the best coffee farms across the globe. 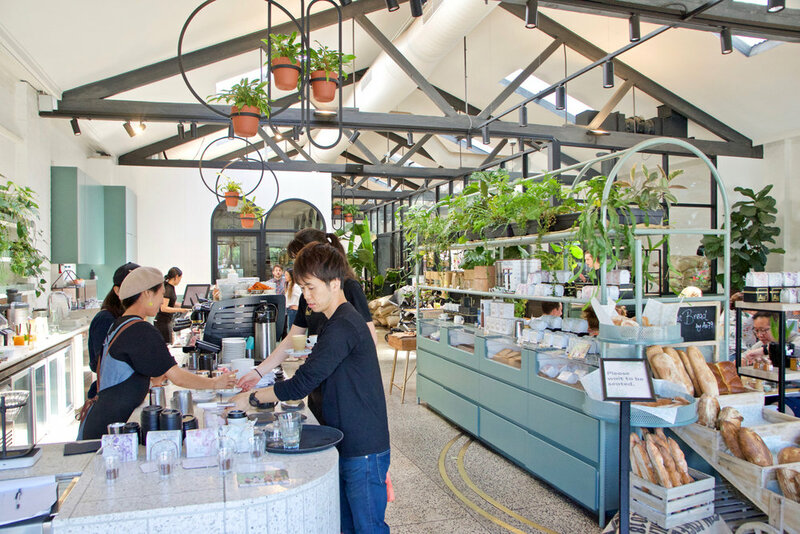 AU79 certainly lives up to its name – This eatery is as good as gold!